Charmed is an American supernatural drama television series created by Constance M. Burge and produced by Aaron Spelling about three sisters who are the world's most powerful good witches, known throughout the supernatural community as "The Charmed Ones". The series originally aired in the USA on the now defunct WB from 7 October, 1998 to 21 May, 2006. There are 178 hour-long episodes in eight seasons. 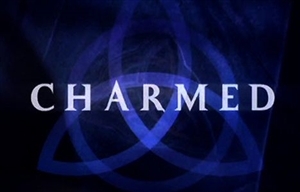 Charmed originally aired in South Africa on SABC1, premiering on 30 October 1999. It later moved to SABC3, from the 4th season onwards. The series finale was aired on SABC3 on Friday 28 July 2006, at 19h30. The series later aired on DStv's M-Net Series channel. Charmed 8 premiered on M-Net Series on Sunday 18 May 2008, at 21h00. There are 22 episodes in the eighth season. The Charmed Ones are the Halliwell sisters: Prue, Piper and Phoebe. Sharing a house and running a nightclub in San Francisco, they lead apparently normal lives while in another reality they save innocent people by casting spells and vanquishing the demons from the underworld. Their combined supernatural powers, the Power of Three, make them witches to be feared. Despite the dark demonic risks they constantly have to face, they do some bravely by casting spells from the Book of Shadows, endless time travelling and physically and psychically fighting the never-ending demonic faces of evil. At the same time they have the almost impossible task of hiding their powers from mere mortals. Their world consists of a cast of characters such as the Elders, Avatars and Whitelighters from whom they learn more about the mysteries of the supernatural and the Grand Design, including their role in saving the future generation. Piper and Phoebe find further difficulty when their oldest sister, Prue, dies and with her the Power of Three. Paige, their long-lost sister they never knew arrives in time to restore the Power of Three and the magic of the Charmed Ones.